In the heart of “the other Caribbean” in Belize…you will find wellness and retreat at sea. 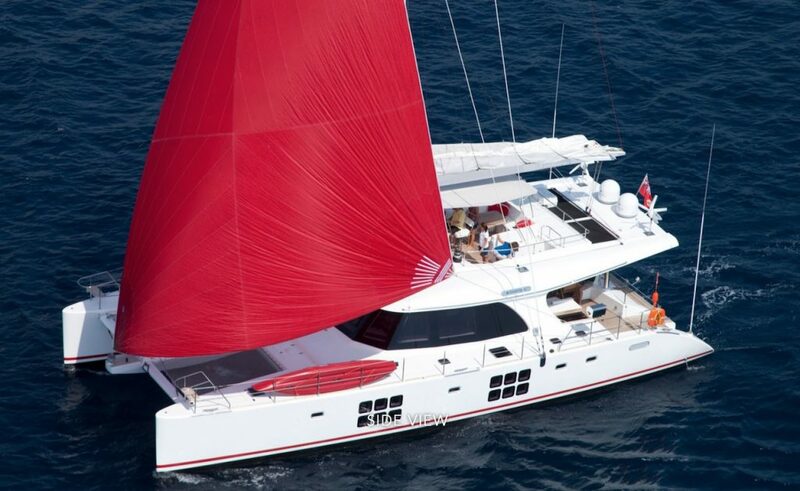 This past January, I had the opportunity to sail out of Belize City on the 46ft Fountaine Pajot catamaran TRANQUILITY. This beautiful and aptly-named yacht was our wellness and yoga retreat in Belize. While I may not have perfected my yoga headstand on this fam trip, I can confirm that it’s better to practice yoga on the forward deck of your private yacht than on a paddleboard! 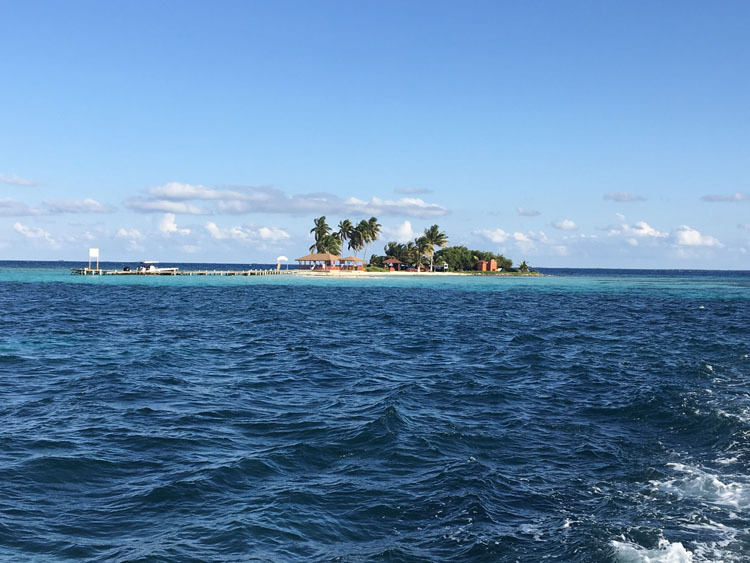 Not only did I rediscover the best sailing within this “2nd greatest barrier reef system”, I met the finely-tuned team of yacht crew, dock staff, office and Belize in-house concierge service. 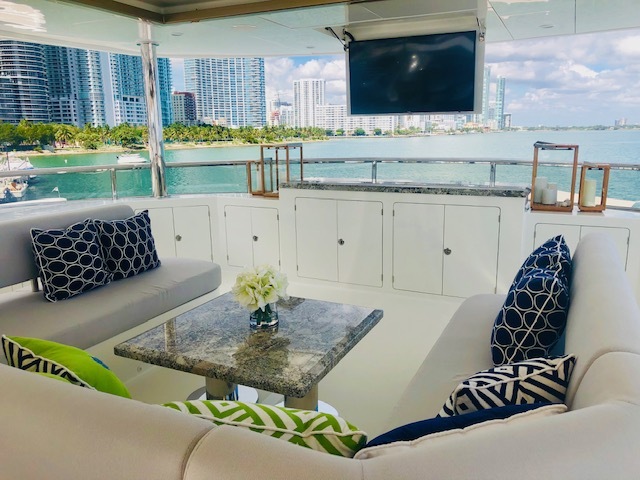 Last week, our intrepid veteran Charter Broker, Sue Gearan, headed south to report to our dear readers and clients on the best boats at the Miami Yacht Show (MYS). At the MYS’ new 2019 location, One Herald Plaza, between the Venetian and MacArthur causeways, Sue vetted beautiful and exciting charter yachts, met captains, crews and chefs (also beautiful and exciting), and took clients on board by appointment. Here’s some of what Sue wrote about a boat particularly worthy of note at the MYS. In September, the stars align for Libras bringing balance, harmony and gentleness – fine qualities for our selection of Greece yacht charters, dear travelers. 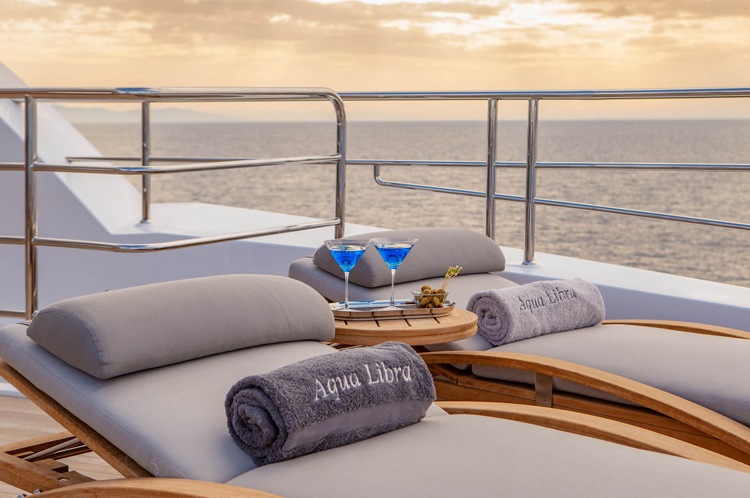 September is also the best time for travel to the Eastern Mediterranean which makes chartering the 131′ Motor Yacht AQUA LIBRA in Greece in September seemingly sanctioned by the stars above. There are so many islands to choose from, each having their own special offerings for your cultural odyssey.